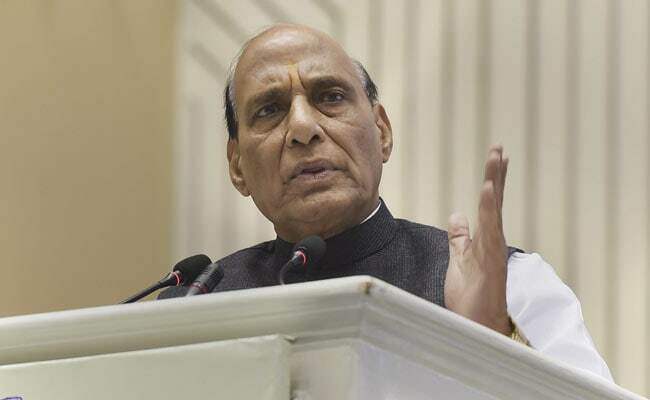 Rajnath Singh was replying to a discussion in the upper house of parliament over the imposition of president's rule in Jammu and Kashmir. The decision was taken after the Ramzan ceasefire on anti-terror operations was withdrawn. The peace initiative was Mehbooba Mufti's idea. "We brought in unilateral ceasefire which brought a lot of relief to the people. We can't have a muscular policy in Jammu and Kashmir... We weren't a part of an alliance just for power," Ms Mufti had said after the alliance was called off.